or ‘Cowboy Beans’. Another one pot wonder, involving whatever you happen to have hanging around the campfire. Ensure that the beans have been soaked according to instructions on the packet – this usually means overnight. 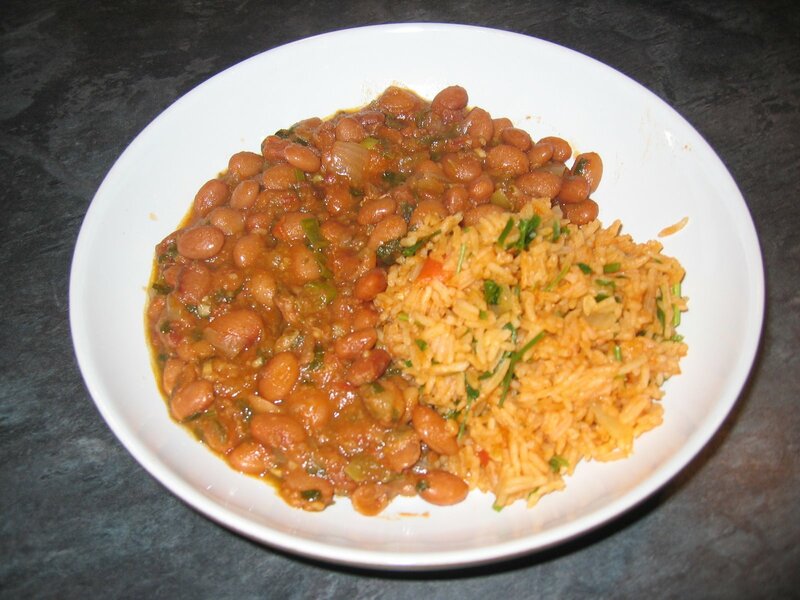 Cooking time is dependent on beans used – only add the stock once the beans are tender. I’ve used Chorizo in this recipe to provide a fuller spicy flavour, but you really can let your imagination run wild with this recipe. In fact it doesn’t even need to have meat in it. You can also play around witht he liquid – the last time I cooked this, I used a bottle of beer instead of some of the water. Adjust the amount of Jalapenos to increase the spicyness. Consider adding a couple of teaspoons of ground cumin. Turn any leftovers into Refried Beans! Simmer for another 15-20 minutes. Stir in the spring onions and coriander leaves and heat for 2 minutes.